With Middle Earth: Shadow of War announced at the end of last month, we were invited over to Warner Bros to get some more information on the game which comes out on August 25. Here is a break down of what we saw in the gameplay presentation. Shadow of War will be going deeper into Talion and Celebrimbor’s story. The game will pick up directly from the end of Shadow of Mordor and continue their journey as they forge a new ring and continue the battle against Sauron’s army. We spoke to Monolith studios, and one thing they have stressed to us is that they have been listening to all of the feedback from gamers about Shadow of Mordor and are fully aware that the last game’s story was lacking a satisfying ending. This time around they have been focussing a lot on the game’s story in order to bring it up to the high quality that the Lord of the Rings franchise is famous for. 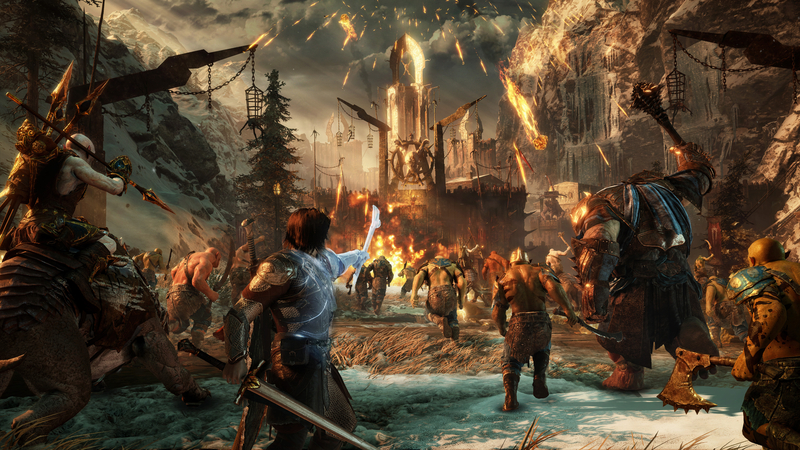 Shadow of War goes beyond Mordor and now covers Middle Earth meaning players will be able to explore an expansive world, with varying eco systems and environments. Monolith have taken the time to map out Middle Earth accurately so fans of the franchise will literally be able to explore the vast corners of their favourite land. With land expansion comes the inclusion of new races to the Middle Earth: Shadow franchise, it has been confirmed that humans and elves will be featuring in the games expanded story. Whether elves and humans are able to join Talion’s army during gameplay is yet to be confirmed. 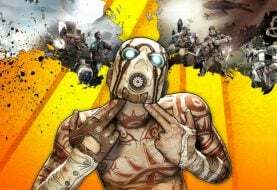 As with most game sequels the gameplay has been expanded with more abilities, moves and features. 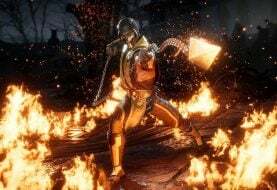 It has been confirmed that your wraith partner in crime, Celebrimbor, will have more melee attacks for players to utilise. 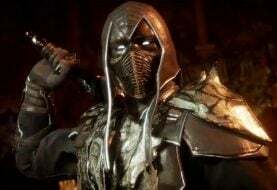 We saw moves which included him summoning his hammer and then sinking it into a Uruk’s eye socket, there will be a lot more wraith moves for players to use too. On the Talion side of things, the combat system has been built upon. In Shadow of Mordor the combat system was heavily based on the Batman Arkham series. Monolith have now expanded upon this to give Talion a lot more variety when it comes to fighting. Monolith also showed us that the RPG system in Shadow of War has been improved upon as well, giving players a lot more variety to change Talion and customise him to their play style through gear drops, runes and skill trees. It has also been confirmed that difficulty modes have been implemented into Shadow of War. 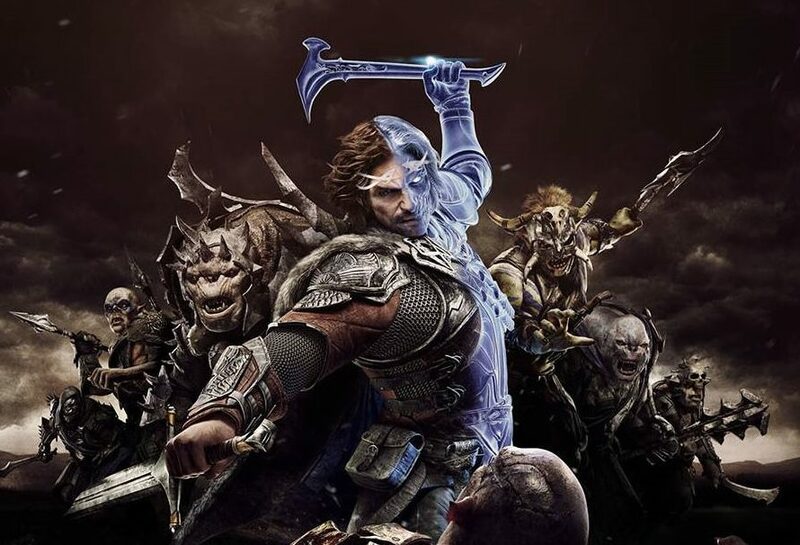 Monolith confirmed that a lot of the feedback they got from Shadow of Mordor highlighted that gamers were getting frustrated that every time they died, the Nemesis system would kick in promoting their opponents and making them harder to defeat. 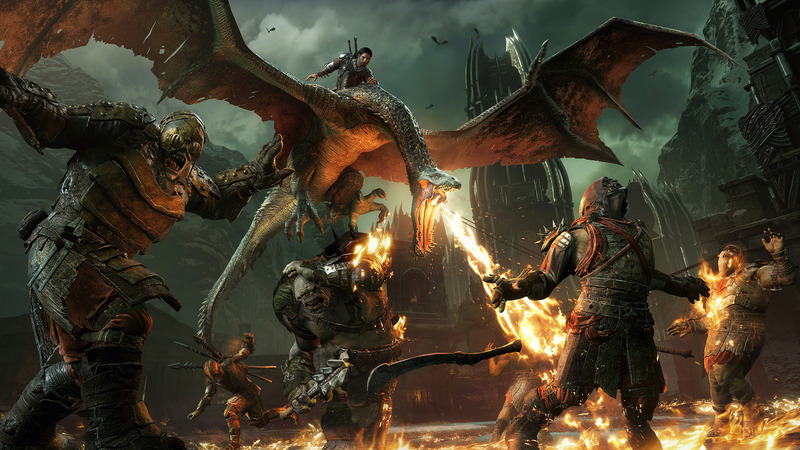 They are confident that with the implementation of difficulty modes into Shadow of War, will improve the player experience and invite more casual gamers to join the battle against Sauron’s forces. One of the most important new features in my opinion is the inclusion of Drakes and the ability to fly them. I mean who doesn’t love flying a dragon around and raining down fire on their foes? One of the most expanded features for Shadow of War in the Nemesis system. This was a massive selling point for Shadow of Mordor and allowed players to create their own stories and enemies. This time around though, the Nemesis System not only expands on your enemies and their armies, but also expands into your own army as well. In Shadow of Mordor the War Chiefs were the biggest and baddest enemies you would come up against. In Shadow of War, Monolith have taken this a step further and introduced Overlords who are basically the Warchief’s boss. What is also pretty cool is each Overlord reigns over their own Fortress which Talion’s army can attack. Monolith went into details about these Nemesis Fortresses explaining that each fortress will house a Overlord, a few of War Chiefs and a hell of a lot of enemy soldiers. 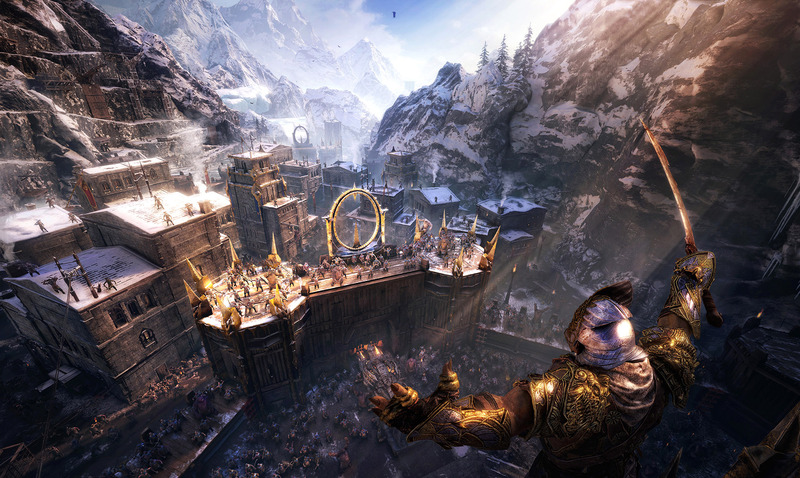 In classic Nemesis System fashion, players are able to infiltrate the enemy lines before they launch their full scale attack by possessing War Chiefs and using them as moles in order to give Talion the upper hand. If players are able to to battle through the War Lords and the huge armies holding down the fortress, they will then come face to face with the Overlord which leads into a boss fight on a massive scale. One of the best things about the Nemesis System is its ability to procedurally generate your enemies and their traits, this also translates into the fortresses meaning no fortress will ever be the same. One of the most noticeable things for us about the new and improved Nemesis System is the relation ships you can make with Uruks. In the gameplay we saw, Talion was up against a War Chief who had once fought for him but was left for dead on the battlefield. Now full of hatred as he felt betrayed this Uruk joined Sauron’s ranks to seek revenge. Players are also able to build on their relation ships within their ranks by promoting Uruks which will then also help them in the throws of battle as they are more likely to help you on the battlefield or against a tricky Overlord. Your enemies in Shadow of Mordor only focused on the Uruks as Sauron’s army started to grow. In Shadow of War you will be up against a variety of Mordor’s most feared beings. Trolls have now been included and are able to become War Chiefs and Overlords. The gameplay demo we saw put a fire obsessed Troll in the Overlord’s throne and to say he was a force to be reckoned with was an understatement. More classes have been added to Shadow of War with various Uruk tribes now featuring in the game. You will also be coming up against Necromancers, Beast Masters and fire obsessed War Chiefs. These classes also play into how the Fortresses are generated, as they will be using similar character traits as the enemies reigning over them. We are very excited about Middle Earth: Shadow of War. 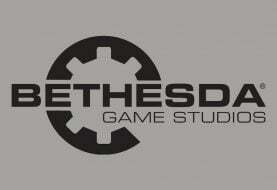 The game has been vastly expanded on and it is amazing to hear that Monolith have taken player feedback on board. We cannot wait to jump into the shoes of Talion and Celebrimbor once more and take on Sauron’s uprising! You can check out the first gameplay footage from Shadow Of War below.